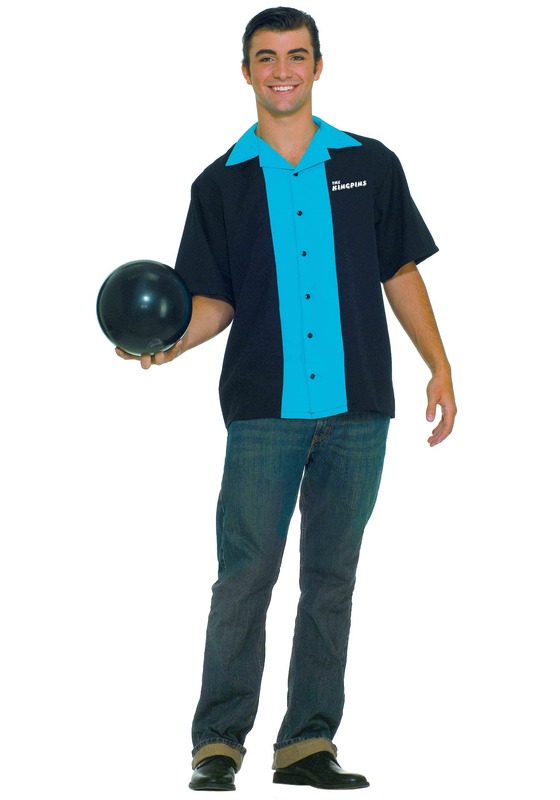 This bowling shirt is just what you need to get your bowling game in order for your big night out with your crew. After all, you want to make sure you bring your A game, right? Or maybe you prefer to fly under the radar - only to reveal your professional-looking shirt and game when you reach a high dramatic turning point. Either way, we think this shirt will suit you just fine. The 100% polyester black shirt buttons up the front and has a turquoise collar with a matching stripe down the middle. The turquoise on black gives the shirt a perfectly retro look and feel. You’ll feel like you just stepped out of a 1950s movie when you put this shirt on for your next time at the lanes. To add to the look, the chest and the back of the shirt have the words “The King of Pins” printed on them. A picture of a bowling pin with a white crown is displayed prominently on the back of the shirt so there’ll be no mistaking who the king is!